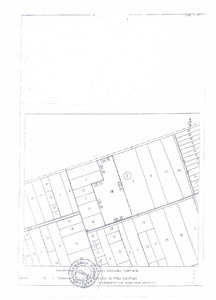 A plot of land, located 13 km away from town Shabla is for sale. Thе village is situated in Shabla district. The oldes lighthouse on the Balkans is on terotpry of Shabla. This region is predilection destination for skin-diving. Near the sea coast are spout hot mineral springs with hight content of sulphur and there is healing "mire". The archaeological excavations at the Shabla Cape (about 5km east of the town) are the most popular place of interest in the neighbourhood. These reveal the remains of an ancient Roman fortress, which has served as a commercial hub for a number of settlements along coast. The fish-rich Lake of Shabla, situated only 3 km away from the town, is another nice place to visit. It is genuine natural habitat, and a home to more than 100 000 wild geese. The Dourankoulak Moor, situated to the north of Shabla, is yet another must-see location for naturelovers. It is famous for hosting a number of marsh birds, including such in the Red Book of Bulgarian fauna. It is not only nature that attracts visitors to this place - the remains of the largest Eneolithic settlement in Europe have been excavated on the big island in the Dourankoulak Moor. The parcel has area from 152000 sq m and it is on 300 m from an ashalt road, where is water and electricity. The land is only 5 km away from sea coast.